The Kremlin has issued an unambiguous ultimatum to Belarusian President Alyaksandr Lukashenka: either total integration or no more subsidies to the Belarusian economy. However, relations between Moscow and Minsk are unlikely to face a rapid escalation of tension. Russian President Vladimir Putin is obviously preparing not a blitzkrieg but a long siege of Belarus. The December crisis in Russia-Belarus relations came as a surprise to many. 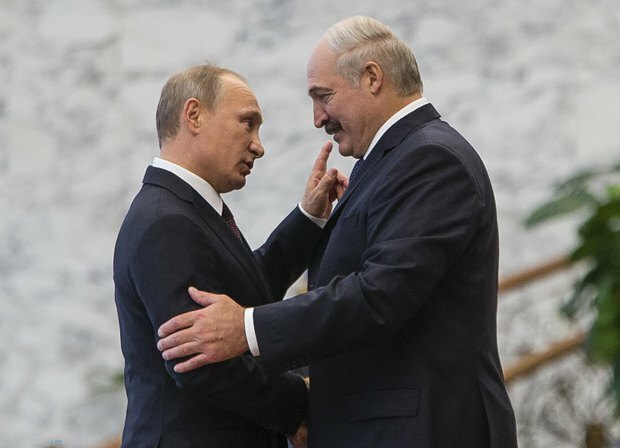 It seemed at least an open conflict was unlikely in the next few months after Lukashenka and Putin met in Sochi twice. In September, Lukashenka said the talks with Putin were "productive" and tried to assure the public that they had found mutually acceptable solutions to all the fundamental problems. Lb.ua noted then that one should not trust the Belarusian leader's optimistic assessments: even if an oral consensus was indeed achieved, it does not mean that the parties will remain faithful to their commitments. Time has proven that it was wishful thinking on the part of Lukashenka. No document has been signed since then either on oil, or on gas, or loans. Nowadays the main question in Russia-Belarus relations is how to compensate Belarusian budget losses for the consequences of the "tax manoeuvre" in the Russian oil sector. Starting from 2019, Russia plans to gradually bring its oil export duties to zero and simultaneously increase the tax on the extraction of natural deposits. As a result, by 2024, Minsk will have bought raw materials at world prices, which may inflict huge losses on its budget and serve a fatal blow to the Belarusian oil refining industry. Belarusian refineries' products will become uncompetitive even in the domestic market because they will be much more expensive than Russian fuel. 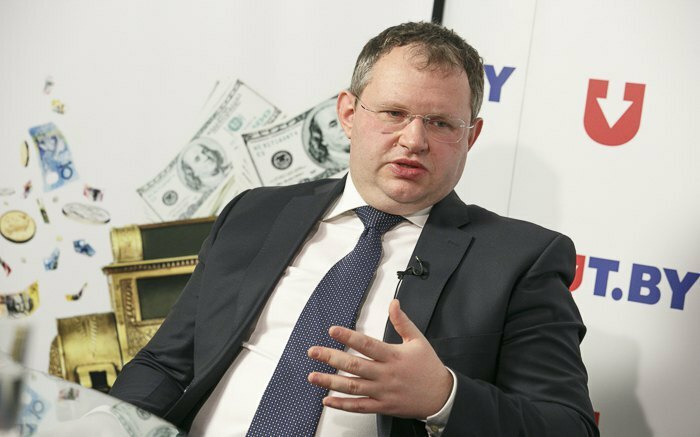 Belarusian Finance Minister Maksim Yermalovich said that the "tax manoeuvre" may cost the budget 8bn–12bn dollars from 2019 to 2024. 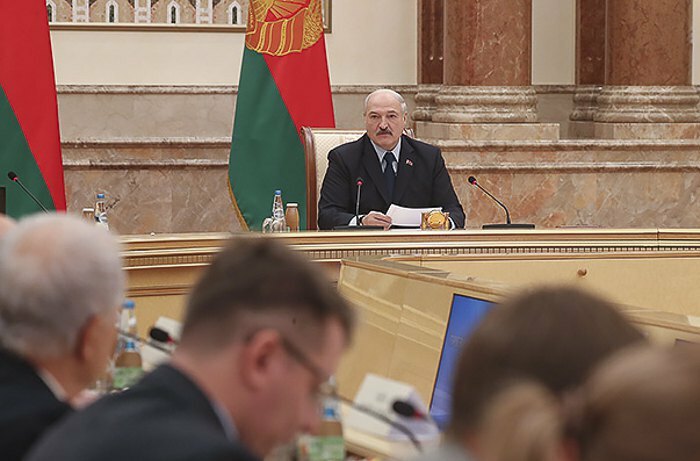 The entire Belarusian budget 2018 did not even reach 10bn dollars. In this context, Lukashenka made an extraordinary move when he openly expressed his claims to Putin at the summit of the Eurasian Economic Union (EEU) in St. Petersburg. In the presence of the press he heavily criticized the Eurasian Economic Union and called for the formation of a fair fuel and resource policy, which in particular would ensure gas at domestic Russian prices for Belarus. On 6 December, Lukashenka said: "The most important thing that we agreed upon when we were creating our single economy is that all the businesses and our people will enjoy equal conditions. If there are no equal conditions, there is no union." The last statement sounded almost like a threat to pull out of the Union, an extremely important project for the Kremlin's imperial ambitions. Putin answered that Belarus already has a gas price discount and providing gas at Russian prices would require some time and another level of integration. Further discussion took place behind closed doors and was very hot. " I had to apologize later to the host of today's meeting," Lukashenko told journalists at the summit. Later, however, he backtracked on an apology to Putin. "I would consider it below my dignity to apologise," Lukashenka would say at a news conference on 14 December. 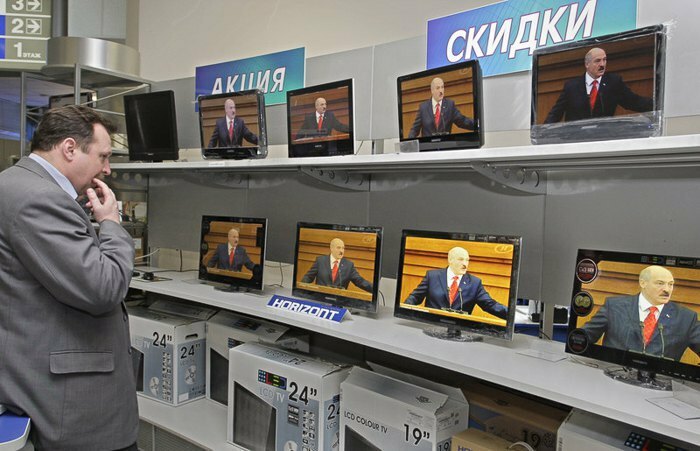 It is not entirely clear what Lukashenka had in mind when he went for an open argument with Putin at the EEU summit. Perhaps it was an impulsive decision, this happens to the Belarusian leader. But another option is not ruled out: seeing that oil and gas negotiations have hit a dead-end, Lukashenka decided to deliberately provoke Putin's sharp reaction to expose Moscow's plans to all. If the second option is true, his plan worked out. As soon as on 11 December, Russians demonstratively disrupted the talks with the Belarusian delegation in Moscow. Russian Deputy Prime Minister Dmitry Kozak simply refused to discuss the gas discount and compensation for the "tax manoeuvre" before any "fundamental decisions" on the further integration of Russia and Belarus within the framework of the Union State are taken. On 13 December, Russian Prime Minister Dmitry Medvedev explained at a meeting of the Union State council of ministers in Brest that they can discuss the creation of a single emission centre, a single customs service, a court and an audit chamber. Everything concerning the enforcement of the 8 December 1999 Treaty on the Union State establishment, which Lukashenka personally signed. Only after that, Medvedev explained, Minsk can expect a single price and tariff policy. Otherwise, everything will remain as it is now. The press immediately named the Russian prime minister's statement "Medvedev's ultimatum". At the same time, the previously announced signing of the agreement on mutual recognition of visas (a rather delicate issue for Minsk considering Belarus's visa-free regulations) did not take place. At a news conference for the Russian media the next day, Lukashenka accused the Kremlin of blackmail and responded to Medvedev's ultimatum. 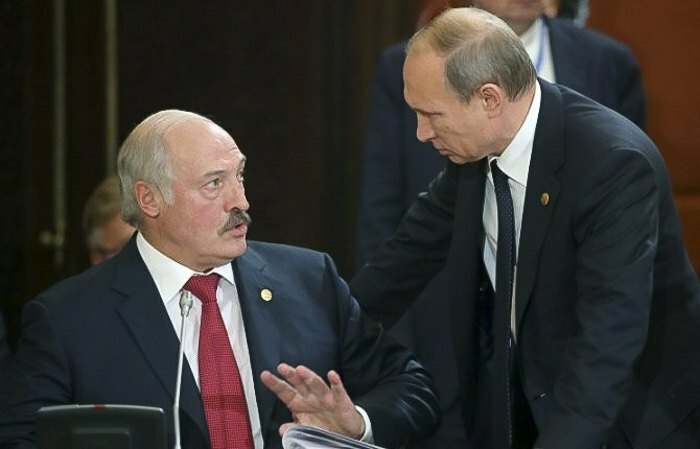 "I understand these hints: get oil, but let you destroy the country and join Russia," Lukashenka said. "If they want to divide us into regions and squeeze them into Russia, this will never happen." 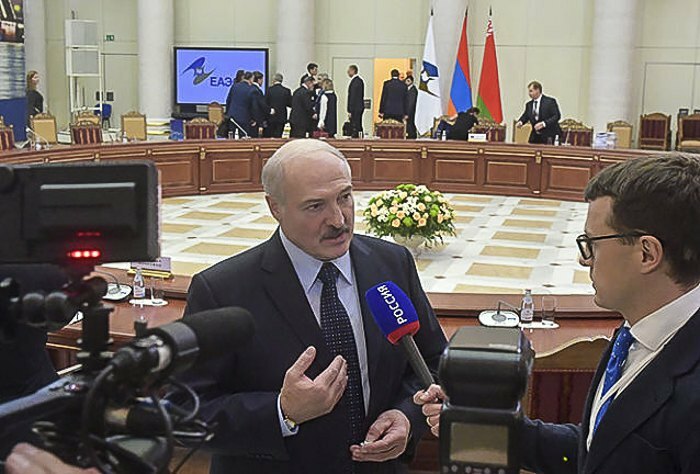 At the news conference on 14 December, Lukashenka pointed out that Belarus would not give up its sovereignty. At the same time, he said that Minsk was not refusing from integration but only after "the reached agreements are implemented in full and for sure". That is, only after the fuel prices are cut to match those within Russia and the "tax manoeuvre" is compensated in full. So, Lukashenka put forward a simple formula: cash on the barrelhead (before integration). Putin defends the reverse course of action. Meanwhile, neither party trusts each other. Moscow is convinced that Lukashenka will take the money and shy away from his part of the deal. In Minsk, they are well aware that integration concessions will lead to the Anschluss of Belarus. It should also be understood that the current crisis in Belarusian-Russian relations has international context too. It was repeatedly noted that Putin is interested in involving Belarus in his confrontation with the West and Ukraine, at least in politics and diplomacy. In this regard, one detail looks particularly interesting. According to Belarusian Deputy Prime Minister Ihar Lyashenka, the talks on the compensation for the "tax manoeuvre" reached an impasse in late November when the Russian side suddenly changed its rhetoric and took the "extreme position". Thus, the stalemate in the negotiations happened at the same time as Russia attacked Ukrainian ships in the Kerch Strait. At the time, Minsk remained neutral - diplomats, in fact, refrained from any assessment while Lukashenka kept mum at all. Moscow, obviously, had expected a different reaction and got disappointed in its ally. 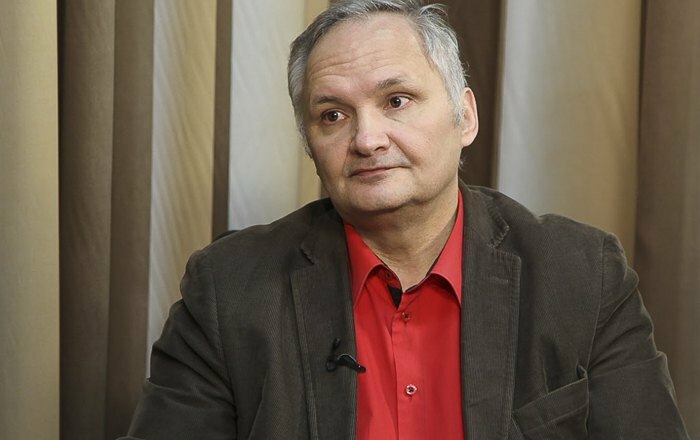 Pro-Kremlin pundit Andrey Suzdaltsev said in an interview with Belsat TV on 12 December that if Belarus’s foreign policy had been different, Russia would have softened its position on oil and gas issues. "For example, if we are a Union State, the situation when one country, but not the other, welcomes the annexation of Crimea is unacceptable. Had we felt the support of our ally in the international arena, there would have been no questions," he stressed. It would be a mistake to think that we will face a rapid escalation of tension in Russian-Belarusian relations in the near future, or even more than that, the Anschluss of Belarus. First, the Kremlin is not up to it. For Putin, the Ukrainian elections in 2019 is a disproportionately more important issue than any of his plans regarding Belarus. Second, the very logic of the developments suggests that Putin has a long-term strategy for Belarus. Belarus's losses from the "tax manoeuvre" will grow gradually. In 2019, the Belarusian budget will lose only slightly more than 300m dollars out of a total of 10bn-12bn dollars, with the main losses being expected in 2023-2024. (By this time, Putin will seek re-election so Belarus, as some publicists say, will come in very handy). Lukashenka will still be there. The Belarusian leader is incapable of fundamentally transforming his regime, which would have opened the door to large-scale Western aid. And Lukashenka will not risk making any sudden movements towards the West, naturally fearing to provoke the Kremlin’s anger and open aggression. Whatever Putin’s ultimate goal regarding Belarus is, it will be much easier for him to dictate his terms in 2023-2024. In this sense, time objectively works for Moscow. This strategy has other obvious advantages. On the one hand, it is very flexible. Putin can easily make local concessions now. For example, he can compensate those 300m dollars for 2019 in exchange for minor services from Minsk. It will look like a compromise reconciliation of the allies but will not change the logic of events. On the other hand, this strategy does not imply reputation losses for Russia. This is not about a military operation, or even about trade wars, but about the refusal to subsidize a neighbour. In fact, this is a legitimate right of any sovereign state. And the fact that Lukashenka, who has been holding office for a quarter of a century, has led the country to such a state that its economy is in danger of collapse without these subsidies – and it is the fault of the Belarusian president. Besides, nobody made him sign the 1999 Treaty on the Establishment of the Union State. Lukashenka, certainly, hopes to outwit Putin. With the help of false concessions and promises, he will try to squeeze at least some of the previous subsidies from Russia without sacrificing Belarus's sovereignty. However, the room for manoeuvre is still extremely limited. It should be recalled that Putin's "hawk" Mikhail Babich was promptly appointed ambassador and the president's special representative to Belarus. Lukashenka described him as a "difficult" person in a political sense. His team, for example, includes military attache Kirill Kolyuchkin who had held a similar post at the Russian embassy in Ukraine until the summer of 2014. However, he was expelled for espionage and Russia's interference in internal affairs. Minsk, for its part, continues to send unambiguous signals to Moscow: no-one is going to surrender. The day after Lukashenka reacted to Medvedev's ultimatum, there was a "leak" about the closed meeting of Belarus's top leadership. At the meeting, Lukashenka declared his readiness "to stand up for independence till the end", and everyone present allegedly supported him. At the same time, Defence Minister Andrey Rawkow told reporters about the need to reduce the list of reasons for deferment from military service.